As you know, I do a quarterly post where I share some of my favorite products or finds online or in stores. I am actually caught up and on time! This month I found several awesome things that I could not wait to share. One of the first of those is this Faux Wood Beam from Home Depot! Say what?!? Yeah. They exist and for a serious fraction of the cost! 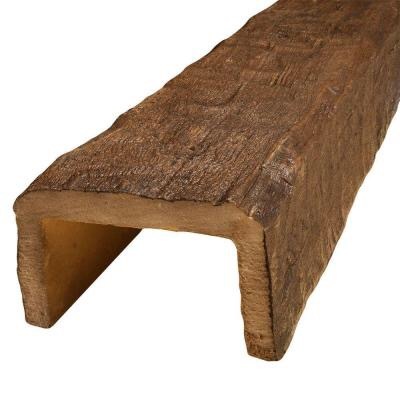 If you are looking to add some farmhouse character to your home or you need to replace previous beams, look no further. They come in variations in color and length, but this one is my favorite.